The latest estimates from the Office for National Statistics suggest a fall of 62,000 in the number of young people who are unemployed. This is good news, although with some 957,000 still looking for work there remains a long way to go. As is now widely understood, the youth unemployment problem is not solely a recession-related phenomenon. The situation for young people in the labour market started to deteriorate in the early to mid 2000s. That youth unemployment is not just a recession induced problem has allowed for a wider debate about the nature of the school to work transition, and how young people move from education into the labour market. It is increasingly acknowledged that the system needs to function better for those not going down a traditional academic route. The process of transition from education to employment has become increasingly complex for young people, as traditional routes into the workplace have broken down. 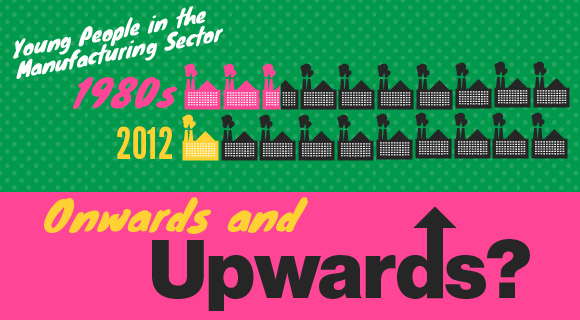 Back in the 1980s around a quarter of young people worked in the manufacturing sector, it’s now less than one in 10. More young people now struggle to get an initial foothold in the labour market, even before the recession almost half of young people who were not in employment, education or training (NEET) had never had a sustained job. UKCES’ own research has shown that employer recruitment patterns can also disadvantage young people. Encouraging employers to recruit more young people is clearly a fundamental part of the solution. Employers can also help by providing more pre-employment opportunities, for example through work experience, which can help young people to develop the important soft skills and workplace experiences which will help them to access jobs further down the line. We also need to think about the experiences of young people once they get into employment, in particular about sustainability of jobs and opportunities for progression. Limited opportunity for progression is a problem for low-wage workers more generally. It is also a problem that disproportionately impacts on young people, who are most likely to enter sectors which pay comparatively low wages and which have poorer rates of wage progression. In order for young people to progress, employers need to invest in skills, for example through workplace learning or apprenticeships. But they also need to think about progression routes for young people once they get into work. This could be through internal labour markets and progression within a firm, or through developing local or sectoral ‘career ladder’ programmes to help young people move forward. Policymakers can also support this progression by ensuring that young people in workplaces with poorer prospects have access to good quality careers guidance throughout their careers to enable them to successfully navigate change and to increase wages by moving jobs. It is by bringing together skills development with changes in the labour market that we are best able to develop and utilise the talents of young people. Getting more young people into work is a great start, but it’s not job done. i m really glad , there is around Europe someone taking care with such good approach to what is expected to be on a general basis, of young not having a specific skill. This is likely to be quite large amount of people that risk to spend their working lives jumping here and there always on "upon demand " jobs. You are in the center of Action.Good position. Great Ideas required.